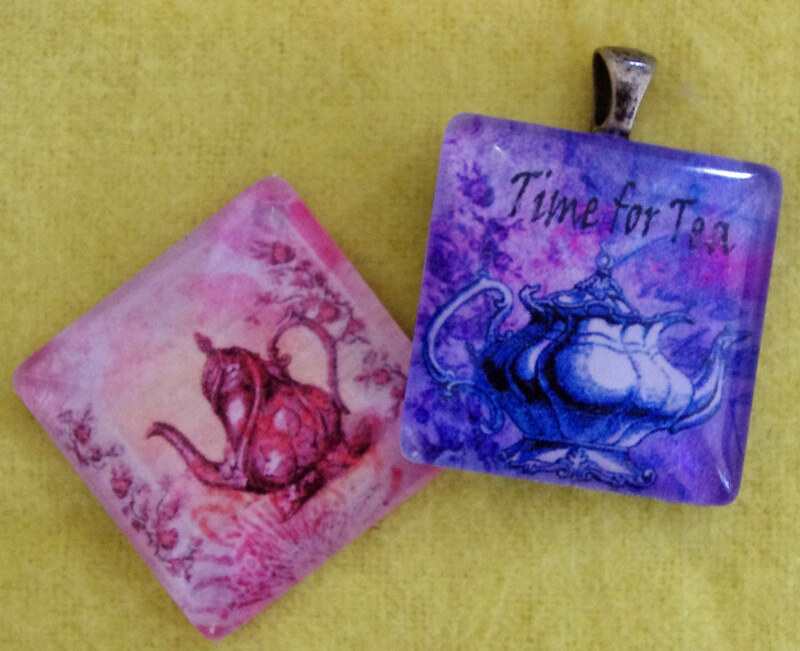 I attended a Tea at Georgia’s Quilting Obsession and put together a series of Tea Collages for use with the charms I was planning to demo. I thought they turned out pretty well and wanted to share them. 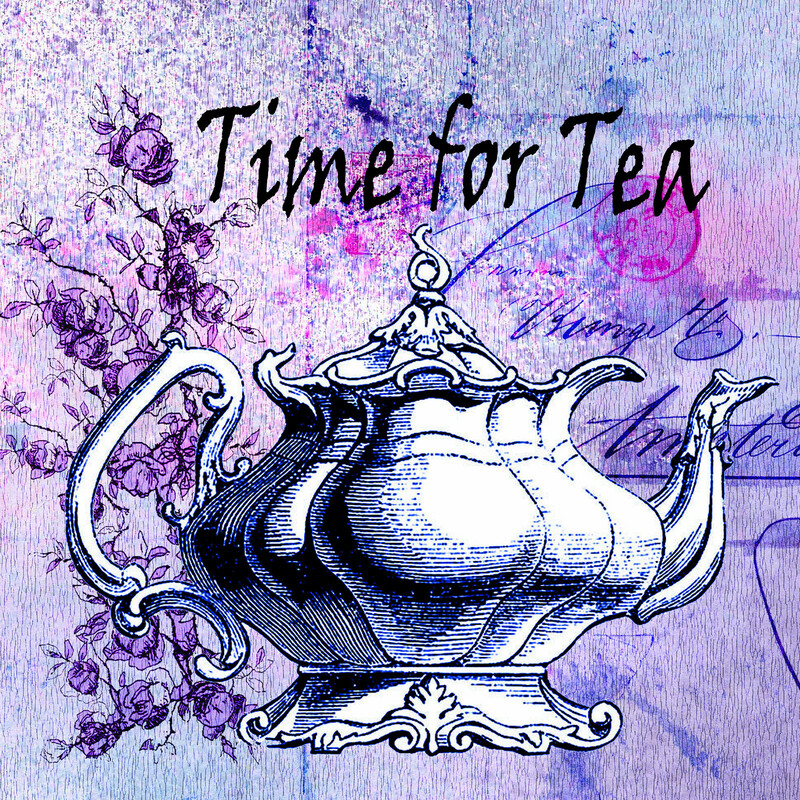 The Tea pot came from The Graphics Fairy. 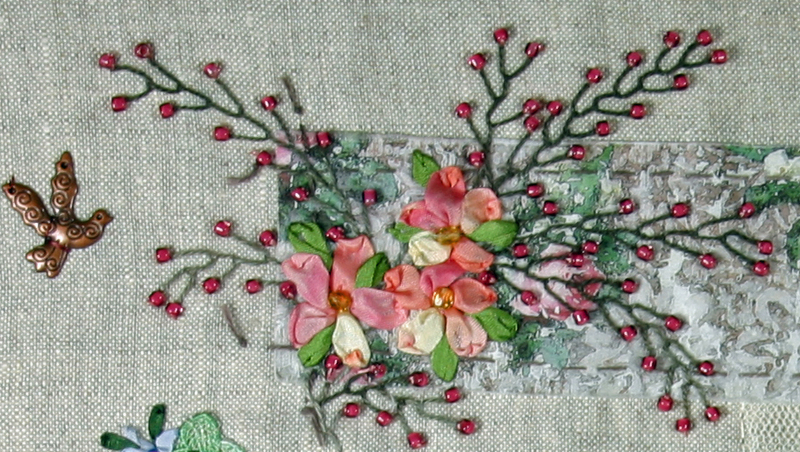 The background includes a letter and roses from late 1800’s vintage art that I have collected. Click on either image to see them on Flickr. You are free to use this collage, just right click on the Flickr image and “Save as”. Enjoy! 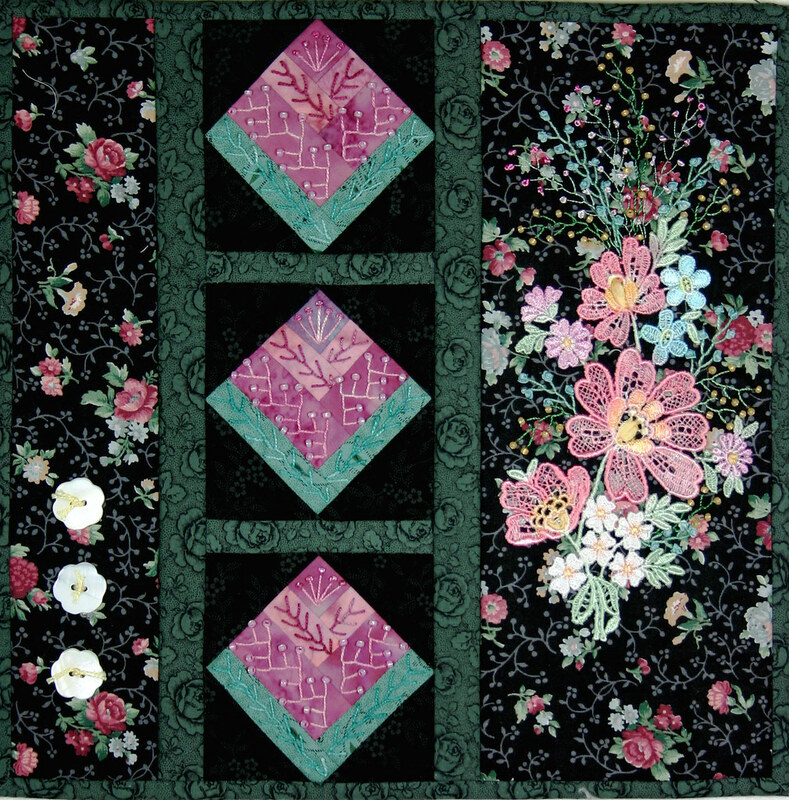 “Hearts and Flowers” is my latest Twilt. 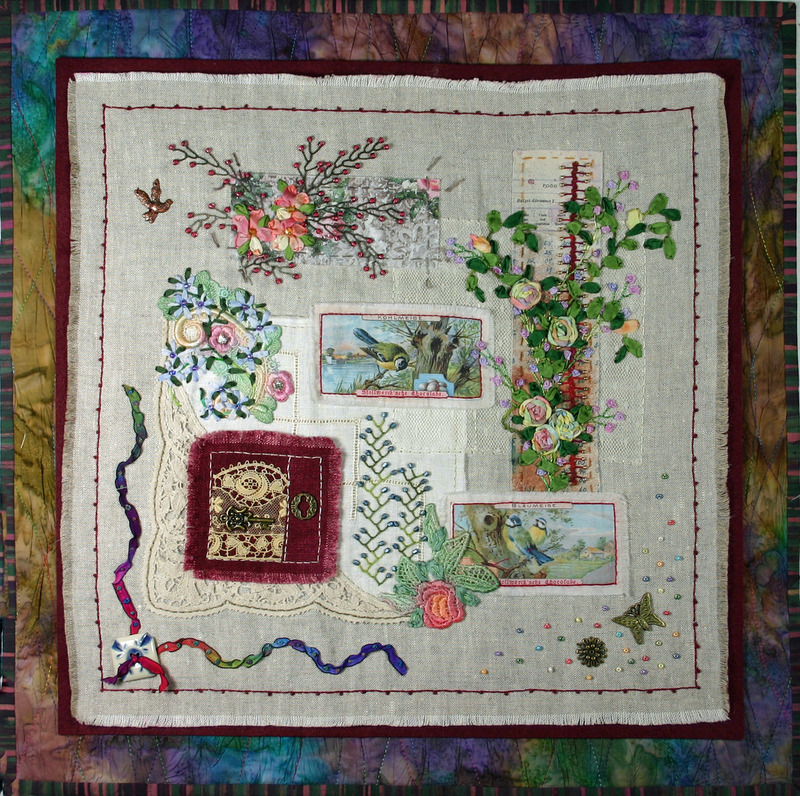 It includes paper piecing, a little Cathedral Window stuff, silk ribbon embroidery, a copy of a vintage flower silk, some crazy quilting and gathered silk in some of my favorite fabric colors. 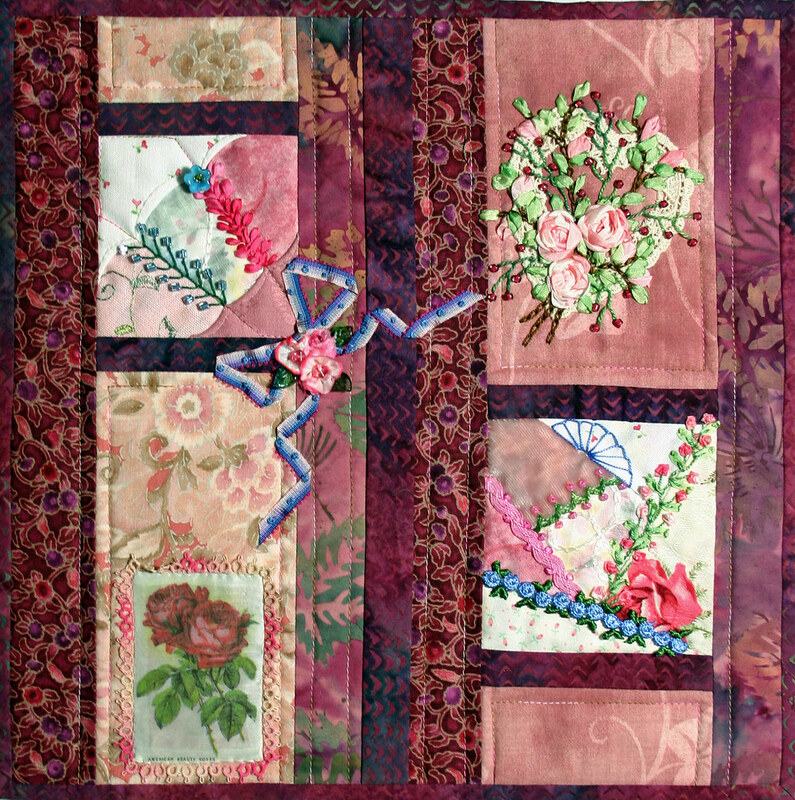 Rose blocks created in a Log Cabin style and a Bouquet of Dye painted rayon lace with embroidered sprays using Brazillian embroidery thread, pearl cotton, silk ribbon. 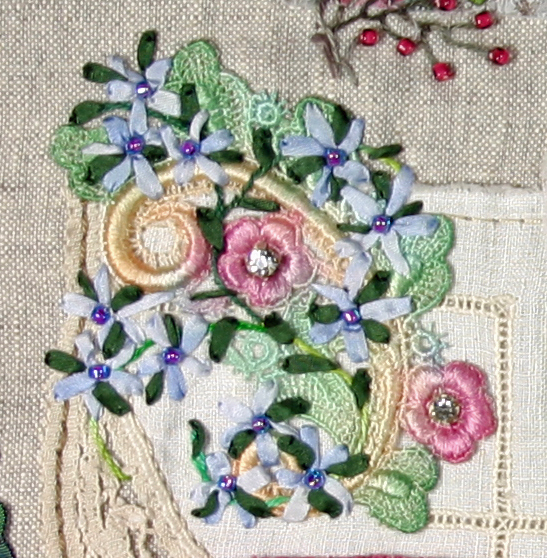 french knots and beads make up this weeks Twilt, “Log Cabin Roses”. 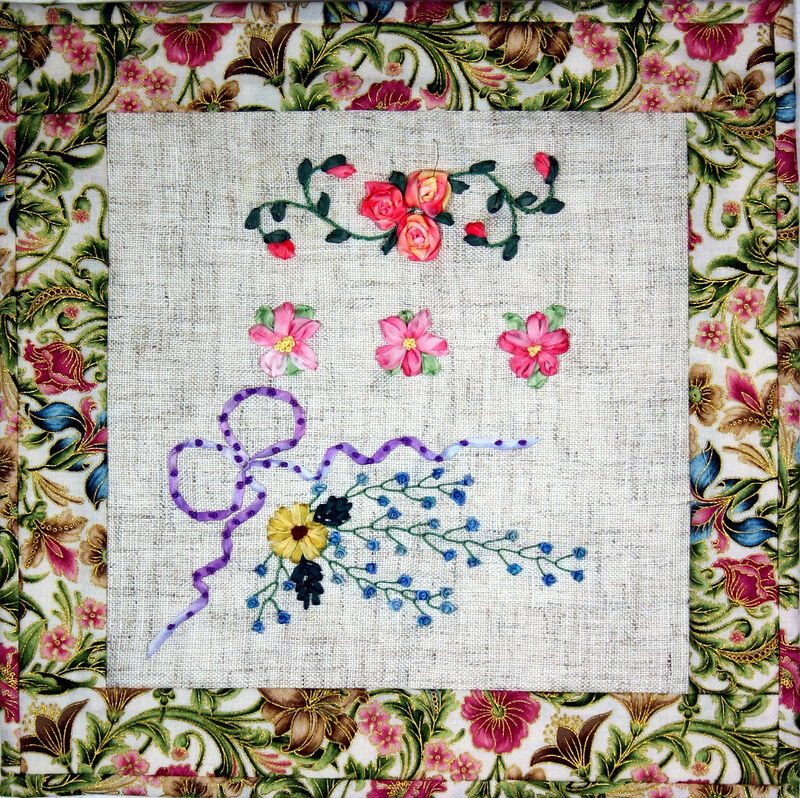 Embroidery and beads have been added to the Log Cabin Roses and three Mother of Pearl flower buttons were added as an accent. I think the fabrics used are very 80’s ish but I’m not sure. Enjoy! 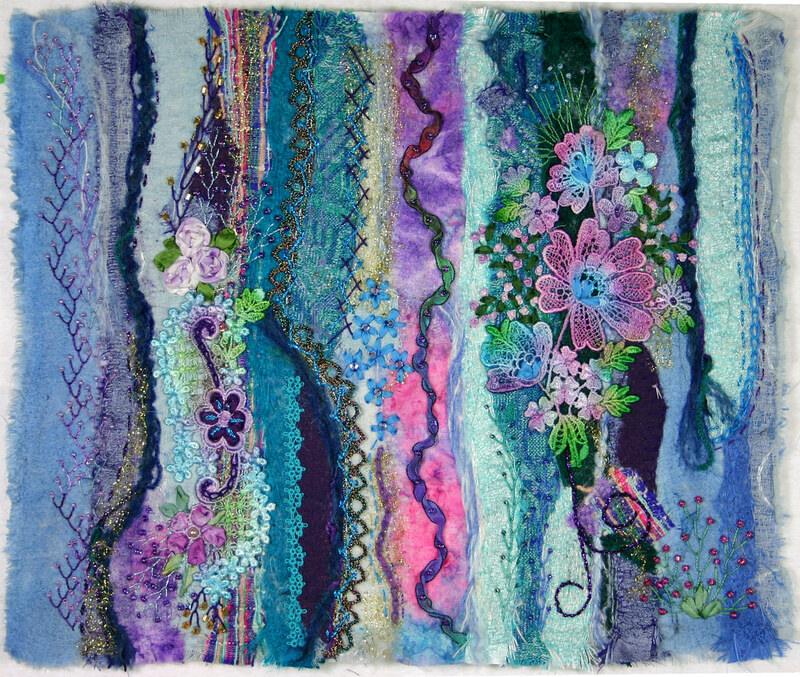 Last Saturday I taught my first silk ribbon embroidery class in at least 15 years. It felt good. I needed a sample to work from for the class so I put this together. Why not let it double as a Twilt.